OAO NOVATEK reported today preliminary operating data for the fourth quarter and full year 2014. 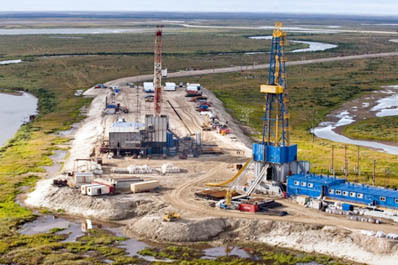 In the fourth quarter 2014, NOVATEK's sales production totaled 16.27 billion cubic meters (bcm) of natural gas and 1,760 thousand tons of liquids (gas condensate and crude oil). The Company's full year 2014 sales production aggregated 62.13 bcm of natural gas and 6,035 thousand tons of liquids, resulting in an increase in natural gas production by 0.91 bcm, or by 1.5% as compared with 2013, and an increase in combined liquids production by 1,284 thousand tons, or by 27.0%. For the reporting period natural gas production was affected by the disposal of the Company's equity share in Sibneftegas at the end of 2013. Excluding the natural gas produced by Sibneftegas, NOVATEK's natural gas production increased by 9.6% in the fourth quarter 2014 and by 11.3% in the full year 2014 as compared with the respective periods in 2013.